How did October get here so fast? Seriously, wasn't it just summer?? 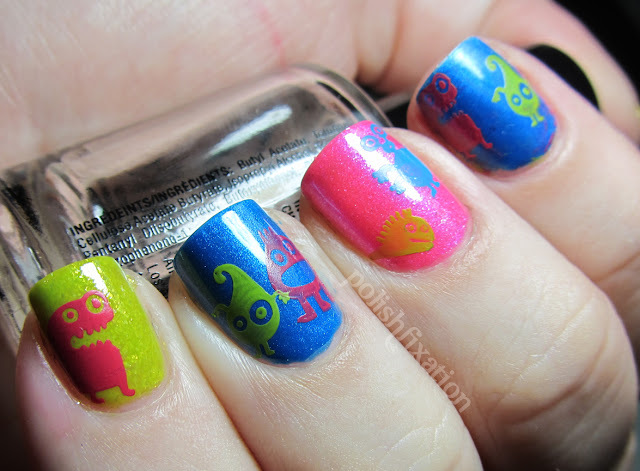 Today I have a fun and bright mani to share with you, featuring some alien designs that can be found in the newest set of image plates from Cheeky Beauty. -The images I have worked with thus far have transferred flawlessly to the nail, very nice etching! -The set comes in a very nice storage box complete with a cute scraper card, which also says that it is a "nail artist license", which is a cute little added fun for the younger crowd of nail artists. The polishes I used for the bases are: Essence Colourbration, Zoya Kiki and Zoya Tallulah. 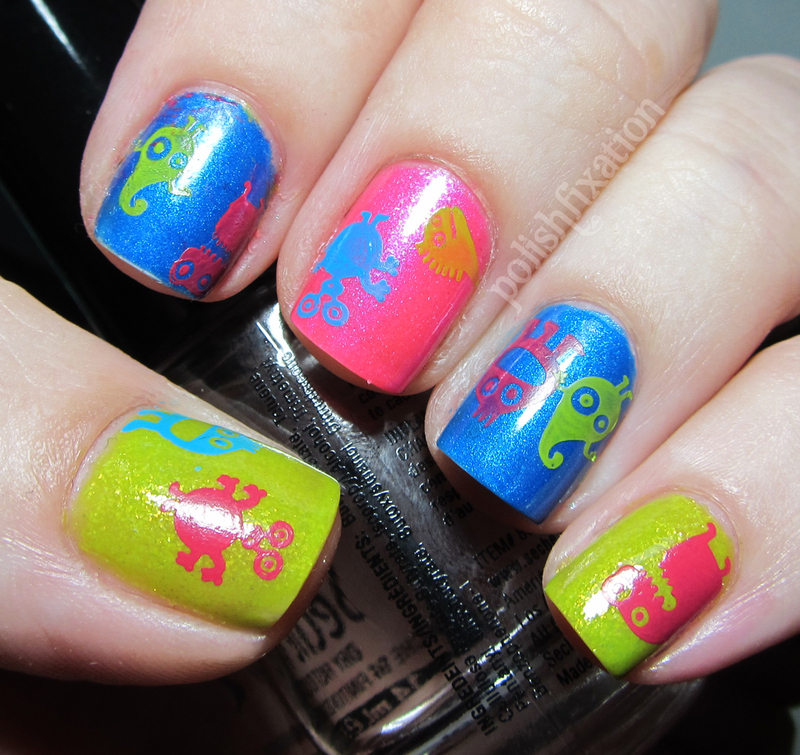 I stamped with Sally Hansen Insta-Dri polishes in: Lickety Split Lime, Brisk Blue, and Speedy Sunburst. Cheeky Beauty image plates and Nail art supplies are available for purchase from their website. Follow Cheeky Beauty on Facebook to keep up to date with news about new products. 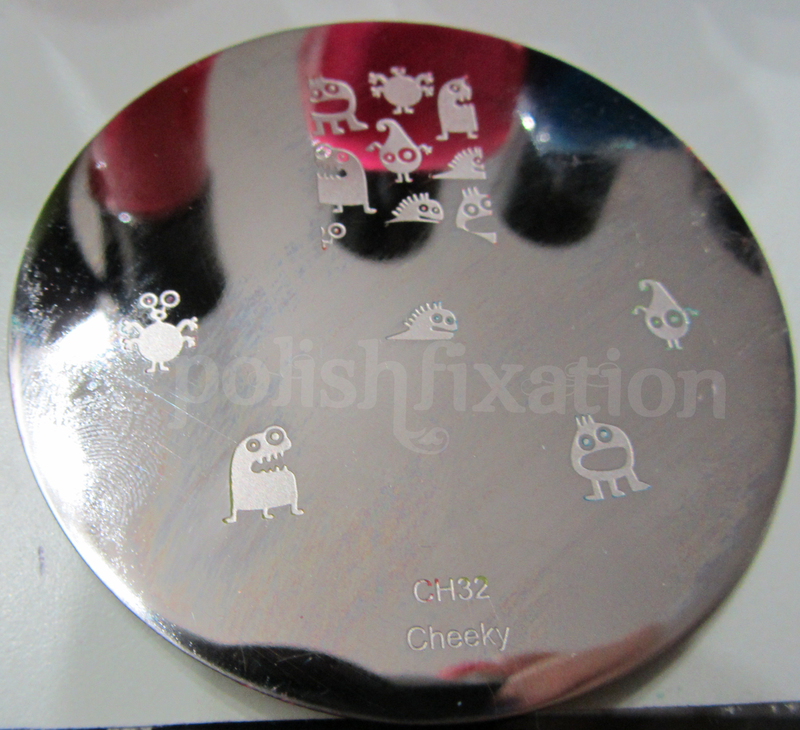 Have you ever tried any Cheeky Beauty image plates or other nail art products? What's your favorite? This is too cute! I have got to get some SH insta dri polishes, I can't believe how well they stamp! I don't have any cheeky plates but now I desperately want some! Adorable mani! I don't have these plates but I think I need to get them. I have seen these aliens used a lot and I fall more and more in love with them. So adorable! I love the colours used too! such a fun manicure! love it!